Note that this is regarding Jpegs. 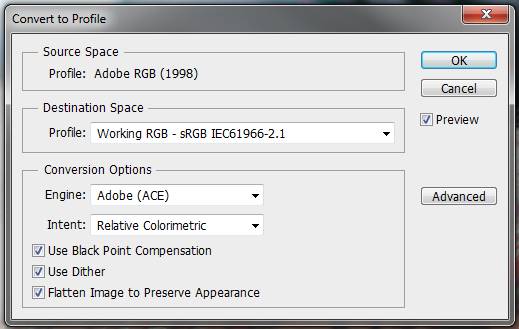 If you shoot raw, your photo will be in Adobe RGB not matter what color space you chose. Adobe RGB gives more room in post. But since the web only allows for sRGB, and from what I know - most printers will only print within the sRGB range (unless they're terribly expensive) - you will most likely still covert to sRGB when outputting the image. 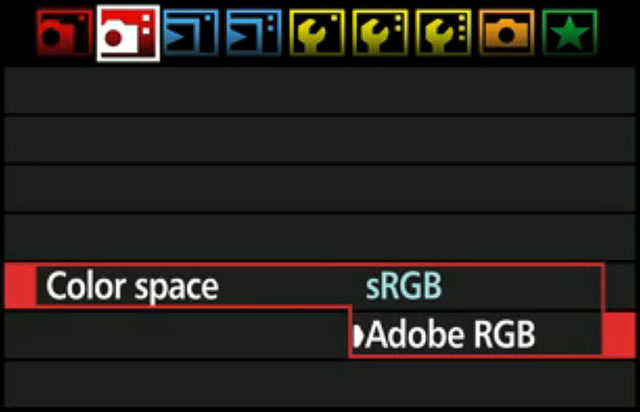 Actually, when shooting in RAW, you'll be shooting in ProPhoto RGB, which is a larger scale color space than both sRGB and AdobeRGB. I was going to touch base on that, but I didn't want to complicate anything any further. And from my understanding on printers, a lot of them are adapting the AdobeRGB color space, because of the richer tones gained from it. And yes, your average printer might not have this support, but more printers used in print labs will. As part as I know, Lightroom uses ProPhoto RGB internally, enabling you to keep as much color information as possible until the last step (publish/export/print). So why would you convert to sRGB (instead of keeping ProPhoto RGB) if you need to use Photoshop for a certain part of the workflow? I mentioned that this would allow you to keep the AdobeRGB (or in the RAW files case ProPhotoRGB) and the sRGB file for editing. Personally, I edit in AdobeRGB for my work, and convert to sRGB upon saving for web, or in other words, use the second method mentioned above. Dont mix Raw files with the ProPhoto RGB Zach. You wont be shooting in ProPhoto RGB when shooting in Raw as you claim. Raw files have no colorspace, and its up to the user/photographer to define what colorspace to use when pixelating the raw-file. Even though I get where you're going with this article, its off.. way off. 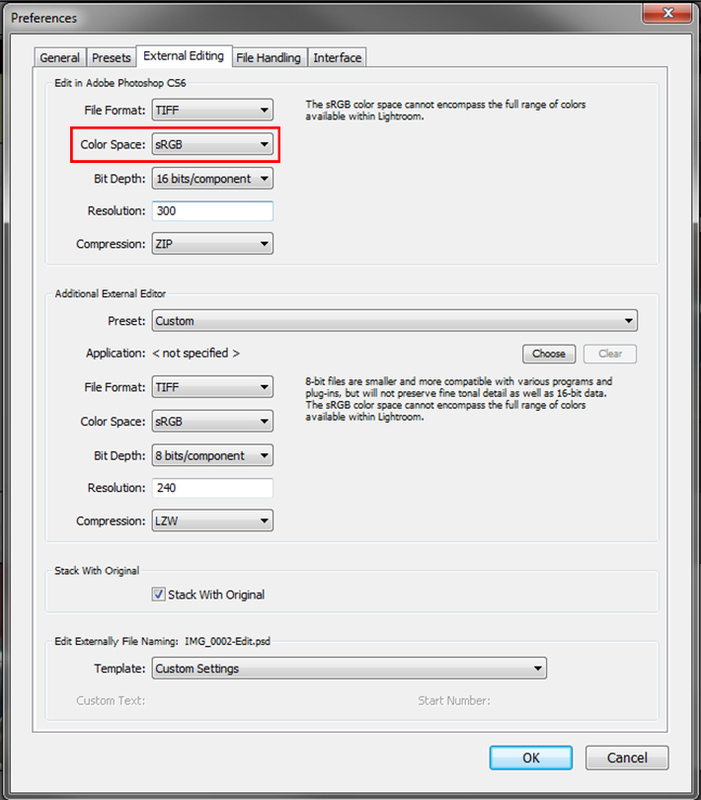 You need to separate between colorspaces for viewing files and for editing files. This is correct. 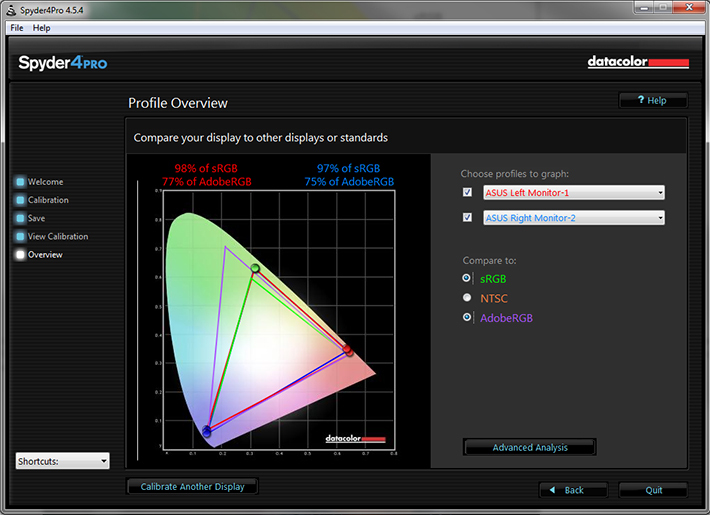 ProPhotoRGB is just another color space (with an even bigger gamut than both sRGB and AdobeRGB). But the benefits are few and far between because typical monitors and CMYK printers can't reproduce the colors at the outer edge of the gamut. Zach, I know you wanted to keep this article simple, but it would probably be beneficial to explain some of the conversion types such as relative and perceptual, especially since it can make a big difference in the final lresult. There is a color space when shooting raw... it's the native color space of the sensor. That's why new cameras' raw files don't instantly work in Lightroom/Aperture... someone at Adobe/Apple has to figure out what that color space is and push out a software update that includes support for it. 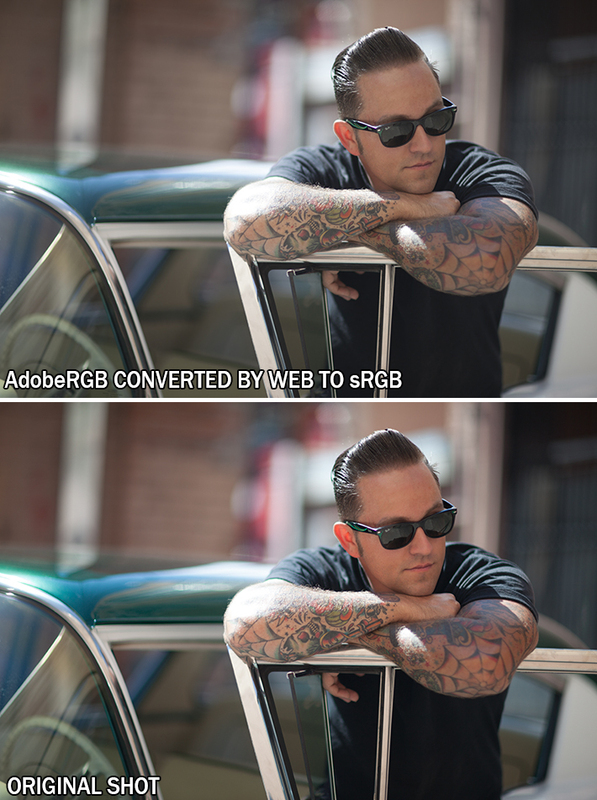 FYI, the in-camera sRGB/aRGB setting *does* have an impact even when shooting raw. The JPEGs embedded within the raw file are converted as per that setting, and (more importantly) the on-camera histogram view is derived from that JPEG. Jeffrey; I get what you're saying about the Cameras colorspace, but still its not directly comparable to the issue at hand here. 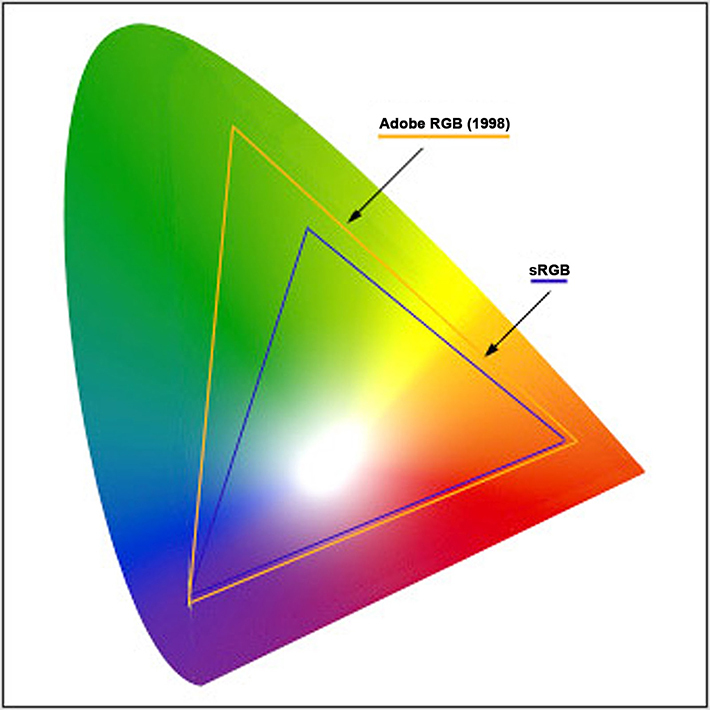 The sRGB, Adobe RGB and Profoto RGB are static colorspaces they don't expand. Even though the camera sensors have their limitations, we see that updates to the firmware and software sometimes are able to pull out more info from the sensor than earlier versions. I believe its not a wise thing to be mixing the cameras native "color capabilities" and and what happens to a rawfile when pixelating it and assigning a working colorspace to it. Also, the fact that the set colorspace in your camera effects the way the raw-files embedded jpeg files are created is something I personally dont consider a problem, even though it a fact that the histogram is generated based on that jpeg file. Its an whole other discussion but what you can pull out of todays sensors is way beyond what the histogram will show you anyway. I swear by a lightmeter and wish more photographers would too. Ive been working closely with both Hasselblad and Canon, and one thing I've learned is that every expert has his or hers own perception of whats a fact. When you shoot in RAW you shoot in... RAW. There is no color space or color management. It is only RAW data. 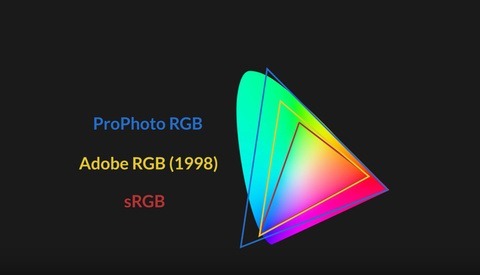 First time color space is used is when LR or ACR displays(!) that RAW data on your screen using AdobeRGB. However the file still is not limited to any color space. After applying adjustments in LR or ACR you can export to file limited by chosen color space. The biggest is ProPhotoRGB which is best for farther image manipulation. 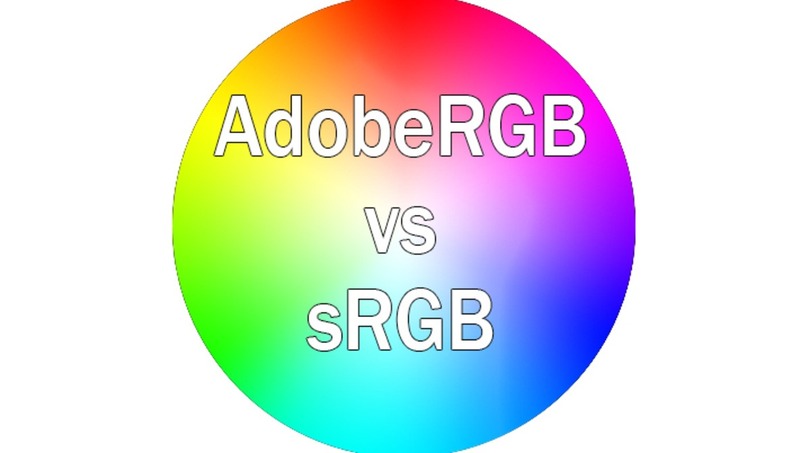 If it is exported for print AdobeRGB is enough and if it is going for WEB it must be sRGB. Roman, i thought the labs only use srgb shouldn't we convert the raw file on export to srgb? or should i check with my lab what they do? You should definitely check with your lab. Professional lab will provide you with ICC profile for soft proof or will tell you which CMYK profile you should use if they print in CMYK. You have to dig deeper about print and color management. If "LAB" requires sRGB you can't expect the best from that lab. Raw has no color space. It is not assigned until you process the image with software. So your statement that "shooting in RAW it saves as Prophoto RGB" is not correct. It saves as RAW, period. Actually, I think Jon Rune Trengereid is correct. RAW files store channel data in the camera sensor's native color space - which is definitely not ProPhoto (or sRGB or Adobe RGB). 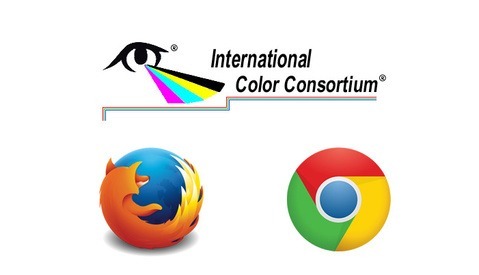 The sensor's native color space is determined by the dyes in front of the pixel photo sites. Unlike sRGB or Adobe RGC (which have nearly monochromatic primary colors), and unlike ProPhoto (which is has primaries that are actually outside of the CIE color space and is used only for processing in programs like Lightroom and Photoshop), sensors must have broad monochromatic response curves not unlike the LMS cone response curves of cone cells in our eyes. RAW files capture data as produced by the camera's ADC with no additional processing (including color space transformation) other than lossless compression. 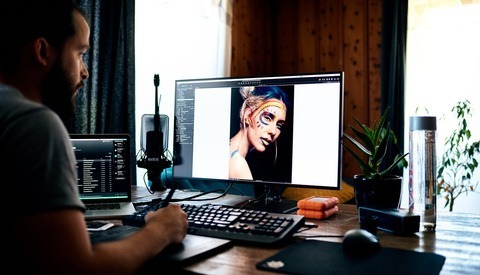 Camera settings such as white balance and the sRGB or Adobe RGB only affect the JPEG preview that is included with the RAW file. Look it up in the Wikipedia article on RAW files, or you can read about it in the Adobe DNG file format specification (which is the non-proprietary RAW format) that you can download from Adobe. You've just ended a five year quest for me. I will never thank you enough. Thanks for that article. It was very helpful. I've noticed that when I "save for web" out of Photoshop I get some pretty drastic differences between what I see in LR and what I see in the save file. Is this due to conversion of colour space? The pic on the right is what I see in LR and the one on the left is after the export to PS and a "save for web" in sRGB. This could be a couple different things. Lightroom has a tendency to edit your photos upon importing them. So it could just be going through the editing process the Lightroom does automatically. It's actually a Windows Color Management problem. If you put the compressed image in ya' Dropbox and then open it up on your iPhone or even a MacBook, the image will appear as it should. Adobe products manage the display profiles independently to the OS. So it's not a problem when your editing. But Windows will also be clipping the blacks on images you open through the browser. I have the same problem. Going to buy a display calibrator. Hopefully that'll fix it. I’m sorry but this post is completely misleading. It would take a few additional posts to explain some of the basics of the color management just to see what is wrong here. My thoughts exactly. The first paragraph alone is so wrong I checked my calendar to make absolutely positively sure it's not April 1st. I couldn't find anything wrong with the first paragraph, and in going through the article, I think it did a great job of showing practical application of color space made simple for more people to understand. Whats inaccurate with it? The failure to mention ProPhotoRGB? That was done intentionally, as not to confuse people further with another system all together. "JPEG images can contain up to 16.7 million colors, though neither color space actually uses all 16.1 million colors available." In any case, all (8-bit) color spaces use 256^3 different values. The REAL difference is which (physical/perceptual, depending on the color space) colors these values actually represent. The different color spaces are like using a 10-inch ruler vs. a 10-cm ruler. Each has 10 divisions for each unit, and while the inch ruler covers a longer distance, it doesn't do it as accurately as the centimeter ruler. So the trick is to use the cm ruler for more accuracy where the additional length isn't needed. AND telling the other person which one you used, or they won't be able to accurately reproduce the part you measured. In color spaces the difference isn't a factor of 2.51, but it is still visible in direct comparison. Nice move, incorporating the suggestions I made in reply and then deleting my comment. Further more, your suggestion was nothing but a typing error on my part. That's hardly ground breaking discreditation like you suggested. Must be a disqus hickup, then. Strange coincidence. Anyway, thumbs up on the rewrite. It's a bit like the image size / print size / dpi / ppi confusion that aspiring photographers often suffer; essentially a simple concept but hard to wrap your head around the first time you're exposed to it. I’m sorry. I really didn’t mean to bash you down with my comment. I would really love to explain that to you here but as I mentioned this is not an easy topic. It would take several posts to write all that. But if you like I can send you some links to some real good posts and books about this topic.